Monster movies were a dime a dozen in the 80s, most of them utterly forgettable. 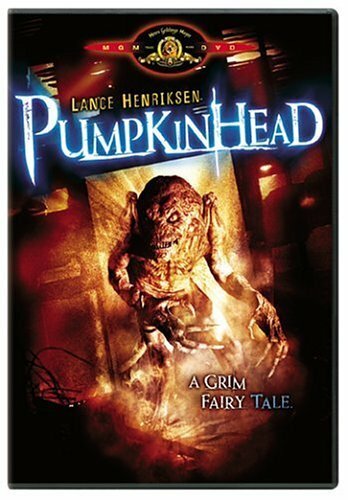 However, every once in a while, there came a low budget monster flick that was far better than it had any right to be, especially considering it had a silly name like "Pumpkinhead". Instead of being the tongue in cheek comedy that the title would have you believe, the film surprises with delivering a straight up eery, atmospheric horror story. Of course, featuring the legendary Lance Henriksen doesn't hurt, and considering the monster is yet another tall creature with a long skull and tail, it's hard not to draw parallels to Ridley Scott's Alien. However the story in Pumpkinhead is something more akin to Pet Sematary, with a nice twist of Swamp Thing. A suprise hit in it's day, it's not without reason that the film spawned three sequels, though I must admit I have yet to see any of them, as I'm rather skeptical toward sequels. But please let me know in the comments below, if I'm missing out.